My goodness, we've stumbled upon another Old Hollywood starlet, looking super casual, definitely not posed for a contrived publicity photo! This time we've got a new spin, featuring MGM's Virginia Grey circa 1935. 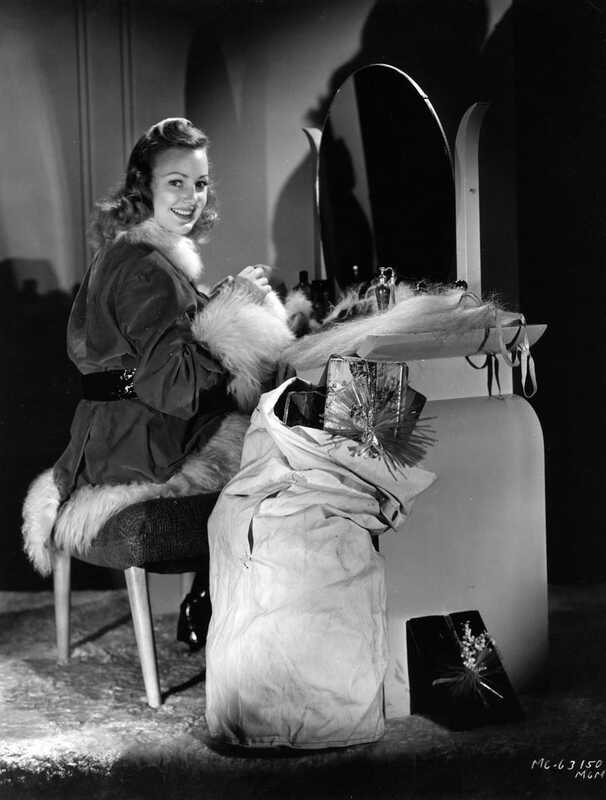 She is "preparing herself for the role of St Nicholas so that she can distribute gifts to the children in the area," according to the caption. The texture of that fur seems like it would collect dust and also spit-covered half-eaten peppermint sticks all too easily. I recently saw an antique dresser just like this, in perfect condition, but made of wood, for $75. I was unable to purchase it, due to space constraints. And then I cried and cried. Photo via Hulton Archive/Getty Images.